I read recently about the death of singer / song writer Doug Rowe and it occurred to me that he was a very under-appreciated talent in Australia. Between 1968 and 1974 his band Flying Circus issued a series of finely crafted albums that mixed elements of folk rock, country rock and mainstream rock into a very listenable whole. As well as the jangly guitars and country textures, the band’s wonderful harmonies added the extra texture that helped to distinguish the music from the sounds so prevalent here at the time: progressive rock, boogie rock, heavy blues and glam rock. The New Zealand born Rowe always had other musical genres on his mind. Locally, other groups such as Country Radio, Axiom, The Dingoes, Albatross and Third Union Band explored similar territory. (You could check out Warner Music’s excellent 2014 compilation Silver Roads for more of the same.) Overseas reference points would be The Byrds, The Flying Burrito Bros, The Dillards, Poco, Bob Dylan and Gram Parsons. Here in Australia, the band’s albums never charted. That seems to be down to the fact the Flying Circus was seen as a hit singles band. ‘Hayride’, ‘La La’ and ‘Run, Run, Run’ were out-and-out bubblegum pop hits. By the time Flying Circus issued their more musically advanced albums, listeners were simply confused. Consequently, what hope did such brilliant country rock singles as ‘Turn Away’, ‘Finding My Way’ and ‘Old Enough’ have of chart success? 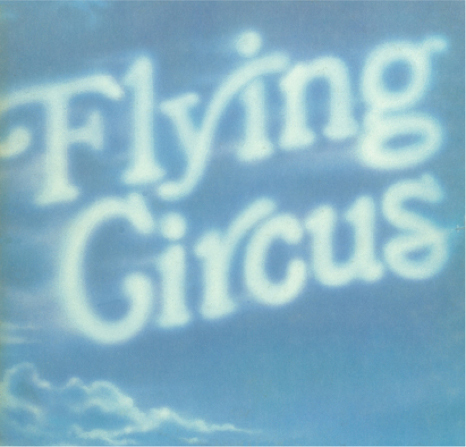 In order to further their career, Flying Circus relocated to Canada (in 1971) where the music was better appreciated and audiences more receptive. With such obvious international influences and intentions, you could say that imitation is the sincerest form of flattery… however, it’s important to remember Flying Circus music never lost that inimitable Australian tang which is hard to define but you know it when you hear it. With the albums having never been reissued on CD and all but forgotten by the general listening public, it’s time to examine their best work, Gypsy Road (1973). With Flying Circus established in Canada via constant touring, they started to attract record company attention. EMI Capitol signed the group for a reported $1 million dollar / 10 album deal – which may well be one of those music industry myths because it sounds so implausible; it was certainly unheard of at the time for an untried Australian band on the international stage. I’d like to think it was true but whatever the reality, big things were expected. The record company put them into Toronto’s Thunder Sound Studios with producers Paul Hoffert and Bruce Bell and the result, Gypsy Road, delivered everything the past years had promised. Warner Bros issued the album in Australia with little fanfare, lifting one single ‘Old Enough’ b/w ‘Train Ride’ to test the waters. The group returned to Australia for a brief tour, which included a spot on stage at Sunbury 1973 but the lukewarm reception did little to bolster their regard for local audiences. Back in Canada, it was a different story. The Canadian release of Gypsy Road was greeted positively and it sold well, with ‘Old Enough (To Break My Heart)’ becoming a Top 10 hit. EMI Capitol also issued the album in the US, with the single ‘Maple Lady’ making the lower reaches of the Billboard Top 100. The Australian pressing came in a flimsy single sleeve, with an illustration displaying the band’s name on the front cover as white, billowing sky-writing letters set against a blue sky. It was such a cheap affair, however, the printing process had cut off the right hand edge of the illustration which featured the just perceptible image of the skywriter plane as it trailed off from the final letter ‘s’ of Circus, so the effect was probably just more confusion on the part of the customer. Furthermore, the back cover was a straight reprint of the US pressing featuring a particular track sequence (with an additional track) which then didn’t match the revised running order of the local pressing. The US copy of the album had the sky writer plane present on the front cover illustration but it was still only a single sleeve. The Canadian pressing, however, was an entirely different proposition. As befits the quality of the music, the Canadian cover presented a magnificent, textured gatefold in heavy card, with a colour photo of the band members looking moody and mean as they stared out through yellow / orange flames in the foreground. The first thing you notice about the record itself is the wonderfully warm and resonant sonic qualities which allows the music to shine like stars. With song writing chores divided almost evenly between Doug Rowe, Greg Grace and Terry Wilkins the songs are, nevertheless, all vibrant and positive with strong melodies and a consistently commercial potential in place. It’s such a shame this album didn’t reach a wider audience. ‘Old Enough’, ‘Green Patch’ and ‘Train Ride’ are all catchy country rock numbers while ‘Maple Lady’ features a more rollicking, bar band feel. ‘Summer Song’ adds pensive reflection to the country rock mode. ‘Another Winter’s Day’ and ‘Me And You’ are pretty acoustic ballads with the added touches of vibes and cello. The standouts are ‘Thousand Years’, a fantastic country-psych song that wouldn’t have been out of place on The Byrds’ The Notorious Byrd Brothers album, and the glorious ‘Gypsy Road’. Here the Flying Circus take everything that’s great about country and folk rock – jangly guitar lines, close harmony vocals, acoustic rhythm, violin and bond them to a captivating melody and up the rock ante with an amazing fuzz guitar solo. And for the record, the additional song on the US pressing was a throwaway cover of the rock ’n’ roll standard ‘Shake, Rattle & Roll’, which was no great loss when it was left off the local pressing. Flying Circus managed to issue one more album, Last Laugh, but with six years of hard work bringing relatively meagre rewards and glory, they called it a day. A sad but inevitable end with so much potential left unfulfilled. The various members scattered while Rowe stayed in Toronto to concentrate on his song writing while also setting up a recording studio. No doubt he crossed paths with that other great Australian expatriate song writer, Greg Quill of Country Radio fame. In the late 1970s, Rowe returned to Australia and joined country rockers Grand Junction for a couple of years. He did some session work during the 1980s and while he continued to play around Bathurst, NSW, most recently with Pig Iron Bob, he inevitably flew under the commercial radar. Maybe that was his choice but he certainly wasn’t idle on the recording front, having issued four solo albums and three with The Woodpickers. I’ve no idea where you’d source these albums but it may well be worth the hunt. 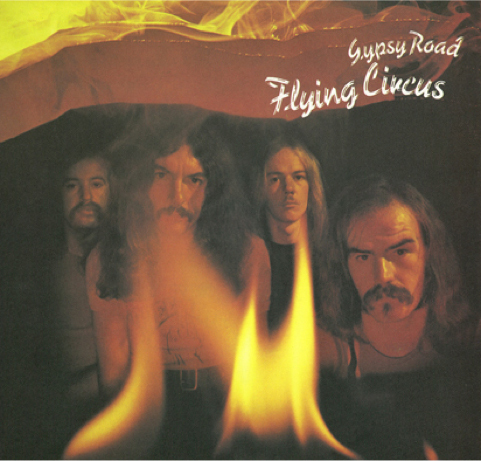 And while we’re at it, let’s hope that one day the Flying Circus albums will soar again, in particular the evocative and enticing Gypsy Road. Next Article Bluesfest Announces 11 Tours!